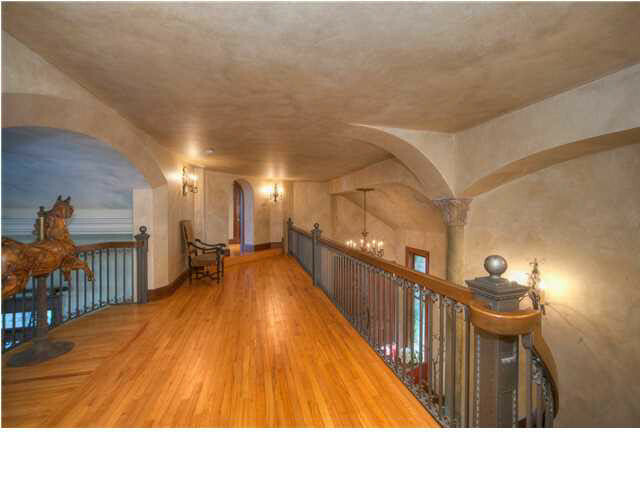 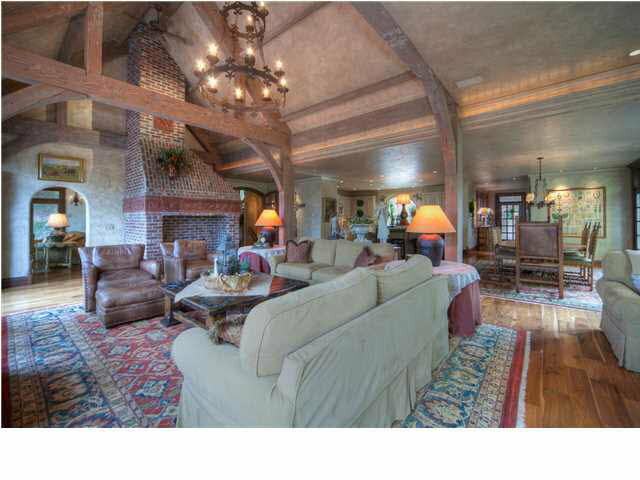 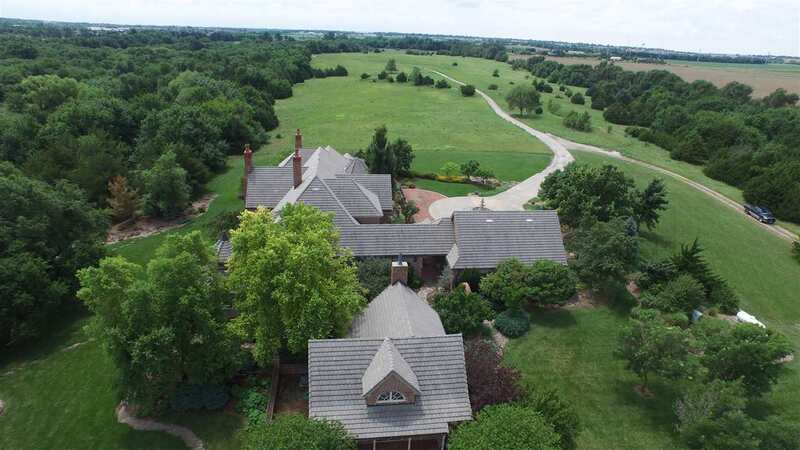 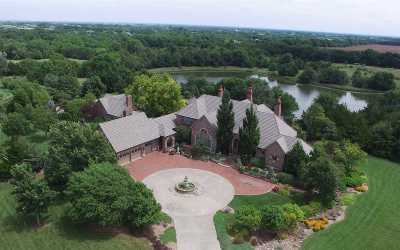 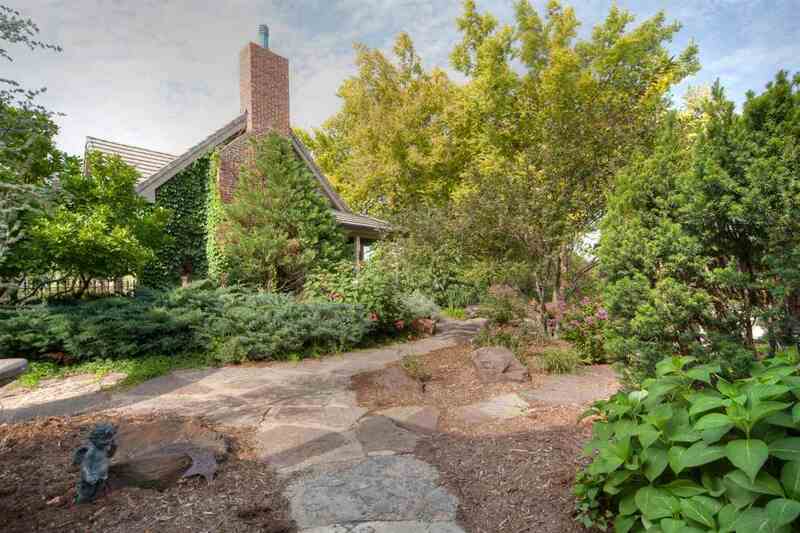 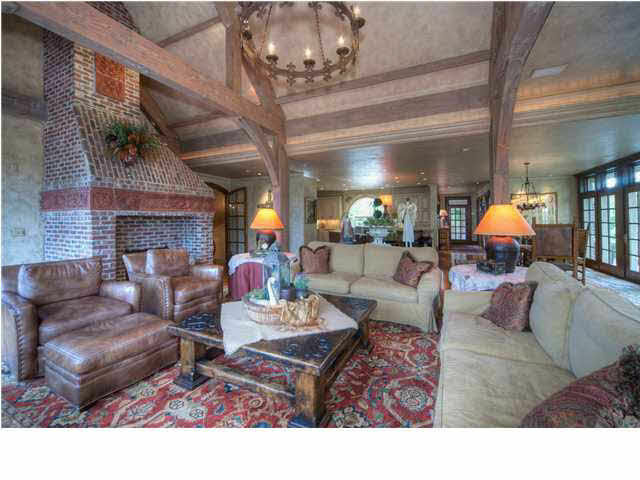 One of a kind French Chateau in the Kansas Countryside with unsurpassed views and privacy! 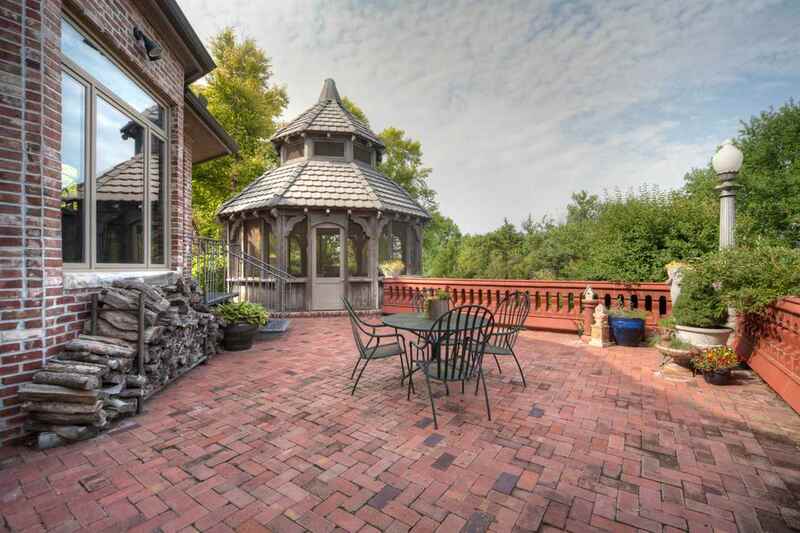 Taking two years to construct the home is in its own right a Work of Art assembled from reclaimed century old American and European building materials! 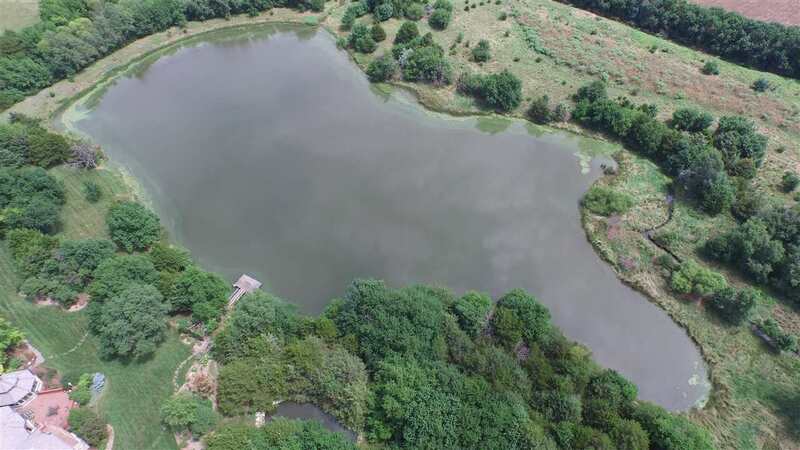 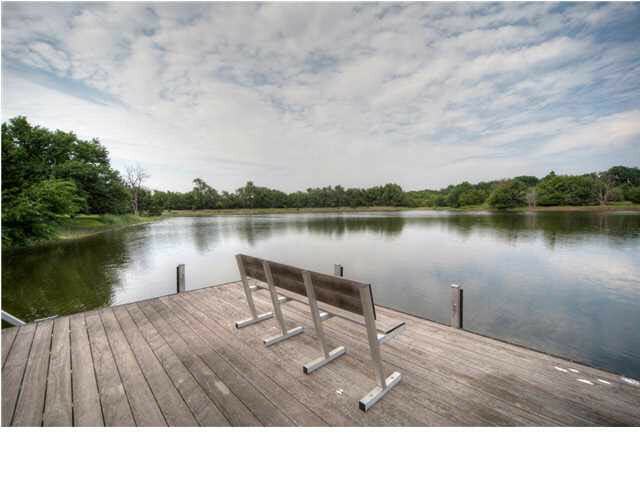 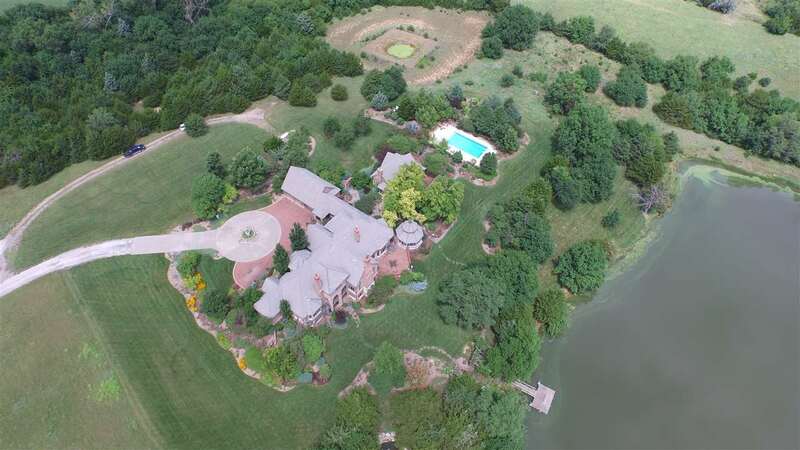 Strategically nestled on 80 acres the private setting is set off by the views its own private 4 acre lake! True craftsmen painstaking intergraded numerous old world materials throughout the home with such precision that the materials seamlessly flow through the home in the style of the architecture! All of the brick for the home came from an old school in Kansas City, the stone and stone arches from an old Mansion in St Joe MO! 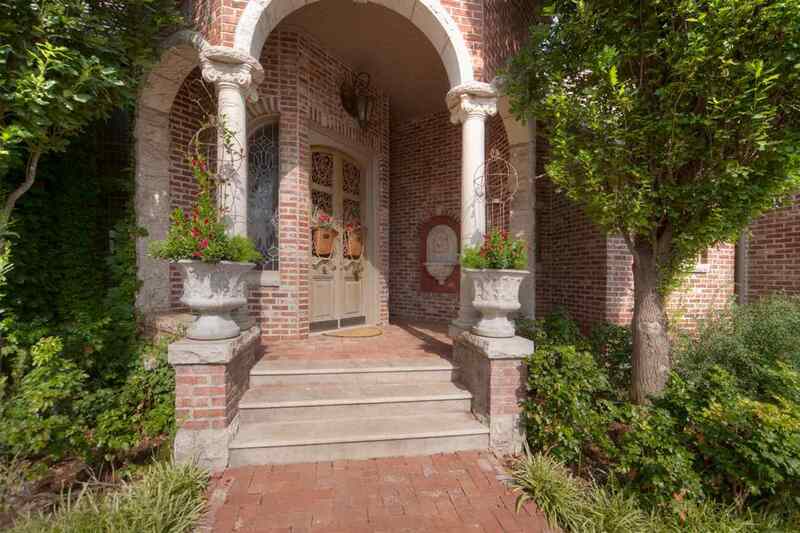 The French entry doors are from France and open into a grand entry with limestone floors, 18' ceilings and a curved stairway bent from the iron railing from the old Augusta High School! The Library French doors are very substantial vintage doors with beveled glass arched transoms above, the round top and tear drop transoms are from the Fowler Mansion in KC, the bookcases have an antique rolling Library ladder and the walls and boarder were painted by Wichita artist Steve Murillo! 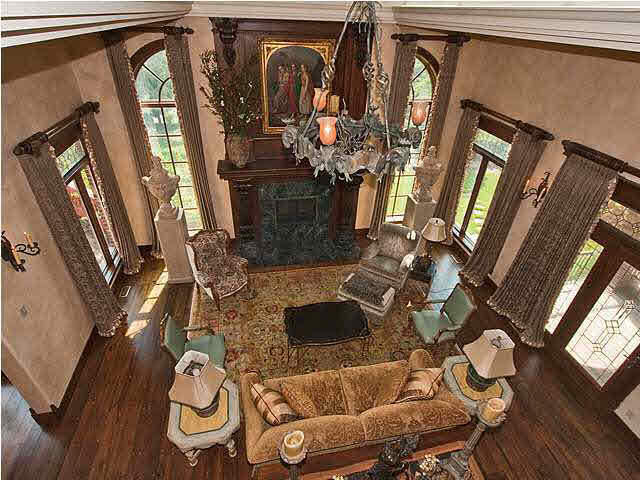 The magnificent living room has large pocket doors from a Catholic Church, the massive fireplace face and huge hand carved corbels were crafted from woodwork out of the mansion in St Joe MO and the 14' ceiling with a dome center were hand painted by a Texas artist! 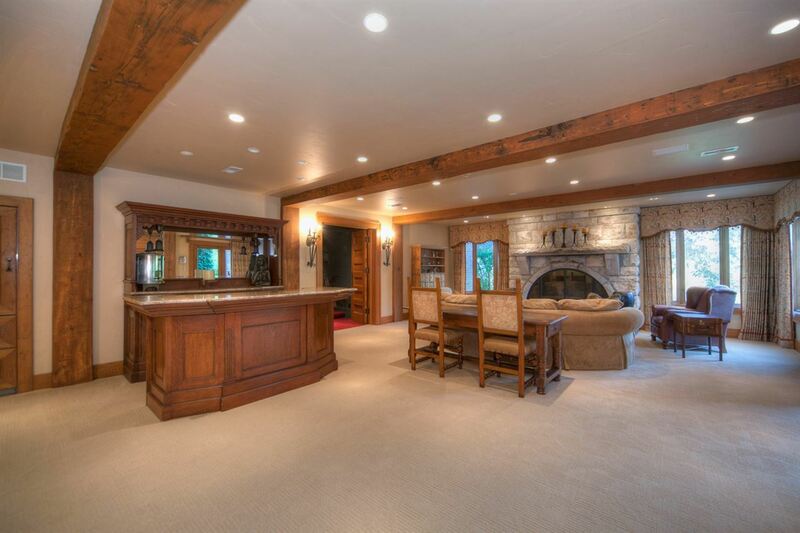 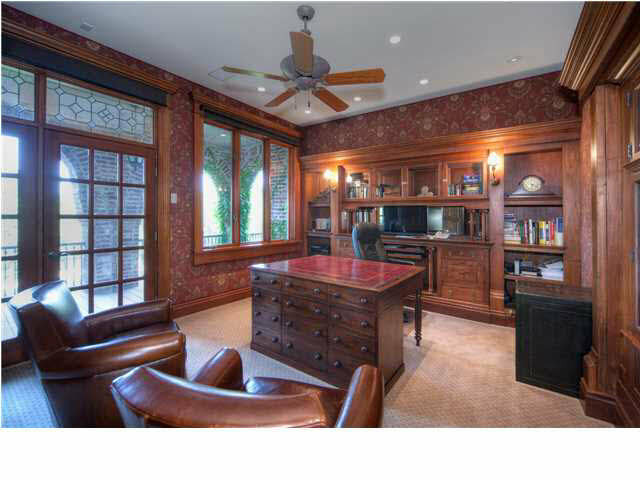 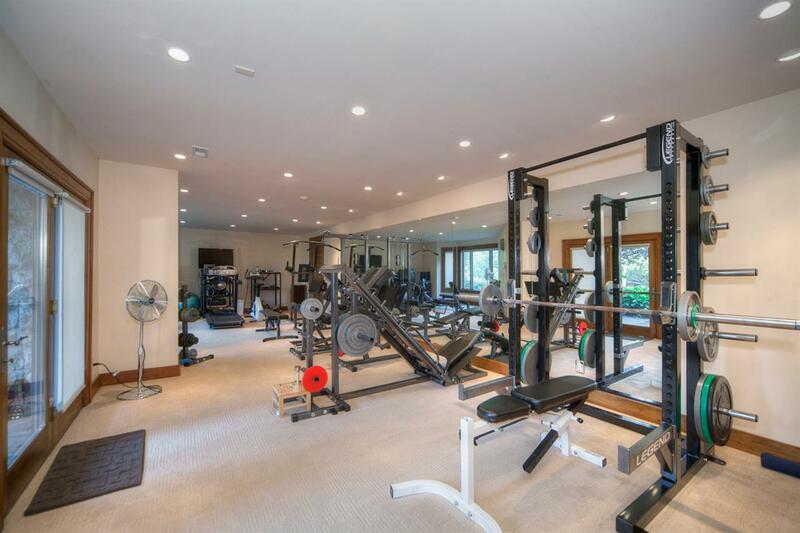 The study has a built-in buffet and cabinetry from the St Joe mansion! 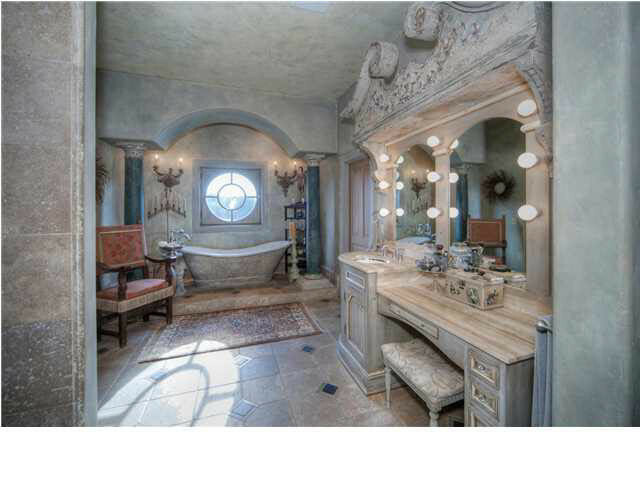 Elegant guest bath has a vintage pedestal sink and zinc base, vintage Termeau mirror and chandelier from France plus Cherub sconces! Fantastic main floor family room with a unique brick fireplace including reclaimed terra-cotta features, cathedral ceiling with massive reclaimed wood beams and second story doors from a church in Texas, Walnut floors and iron chandelier from France! 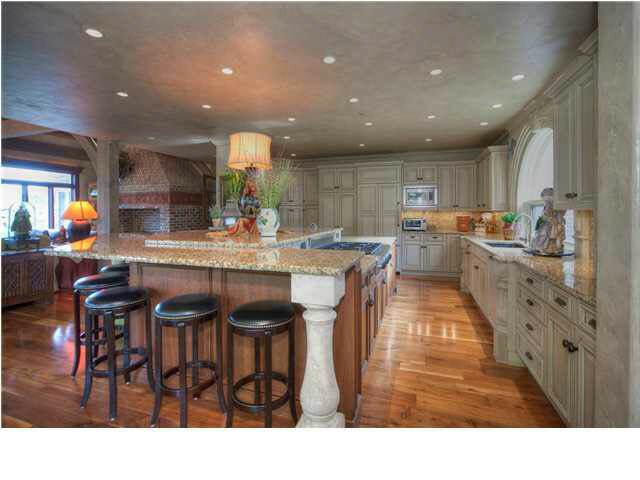 Recently renovated kitchen has top of the line cabinetry with all the options, Granite tops, huge tiered island with a Wolf 6 burner gas cook top, sink and dish drawers, the main sink has an arched window above and Miele dishwasher, Thermador double ovens and Walnut floors! 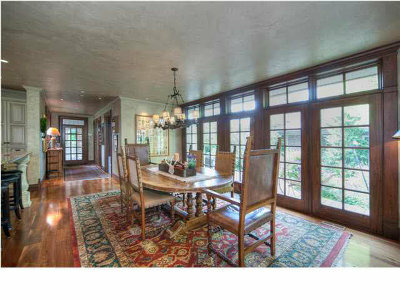 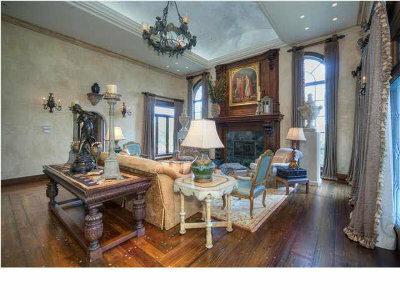 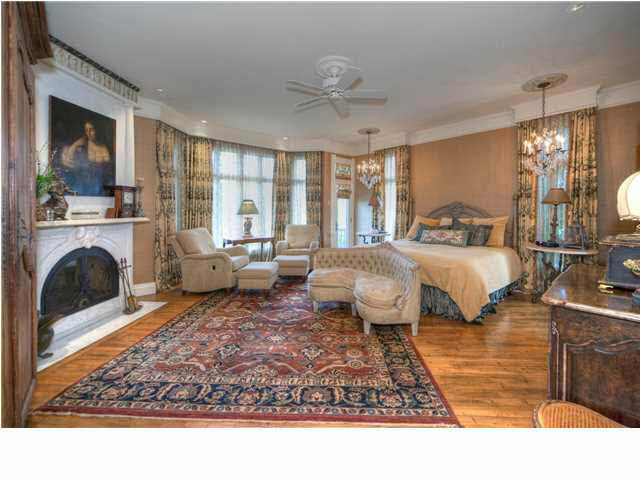 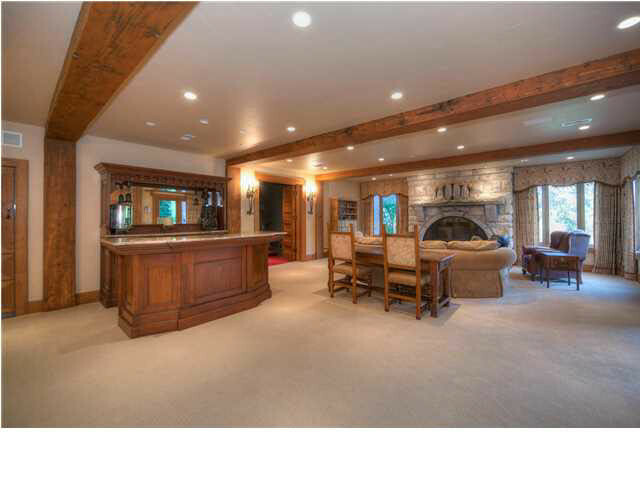 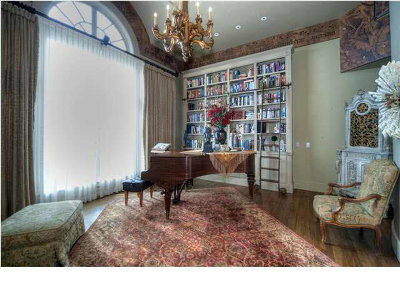 Fabulous m/f master boasts a reclaimed marble fireplace face, walls upholstered in silk, reclaimed wood trim and floors! 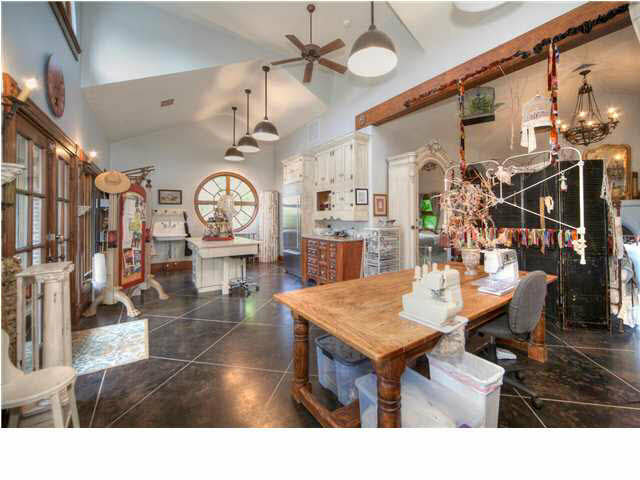 Luxurious master bath with stone tub from France framed by reclaimed tapered columns, separate vanities with intricate vintage house pieces above, reclaimed round window, huge walk-in shower plus his and her walk-in closets! 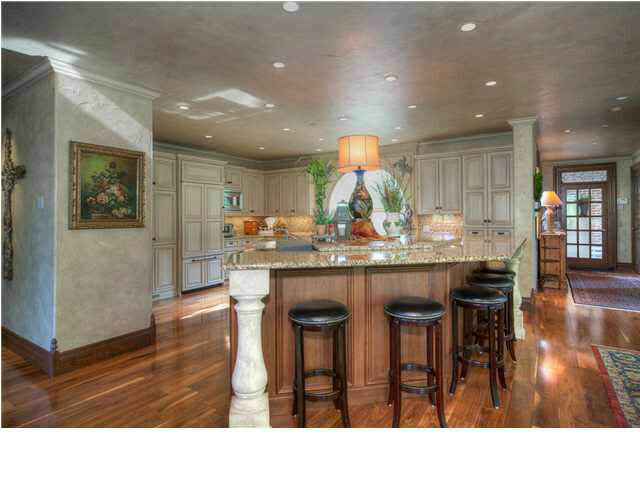 The half bath off kitchen has a sink and chandelier from France! Laundry room with cabinetry, sink plus new washer and dryer to stay! 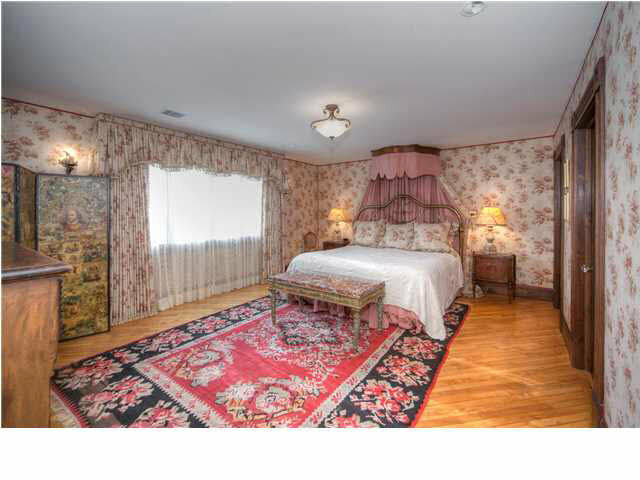 Bedroom 2 with French fabric upholstered walls, large walk-in with California closets and private bath reclaimed vanity and walk-in shower! 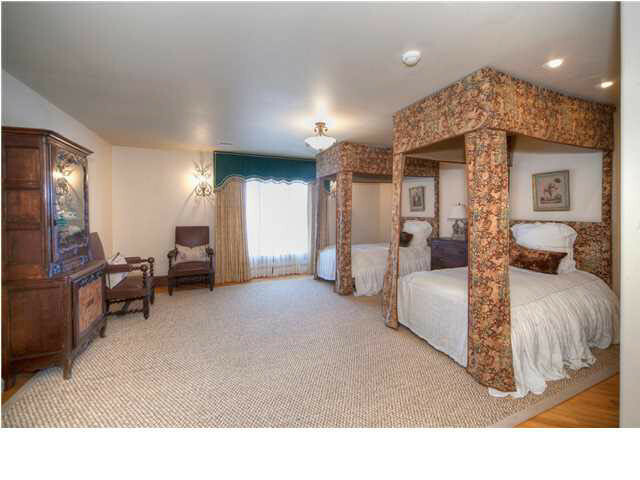 Bedroom 3 with vintage bed valance from France, private bath with unique reclaimed vanity and walk-in with California closets! 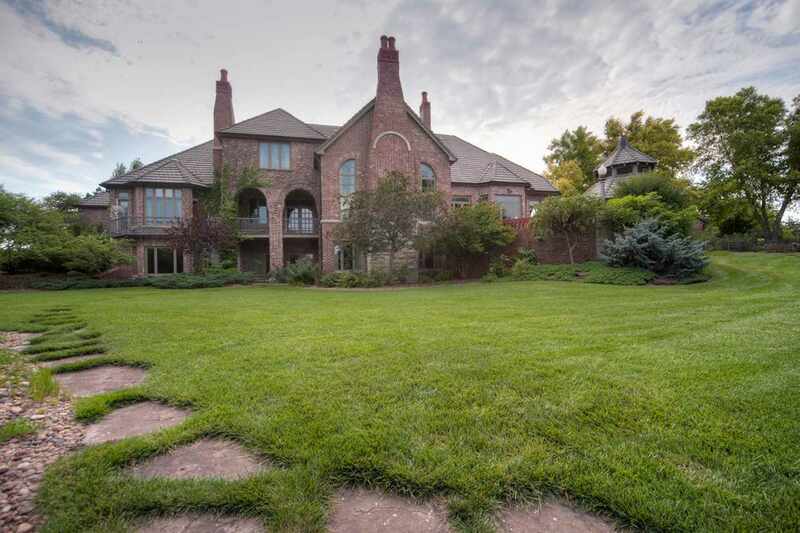 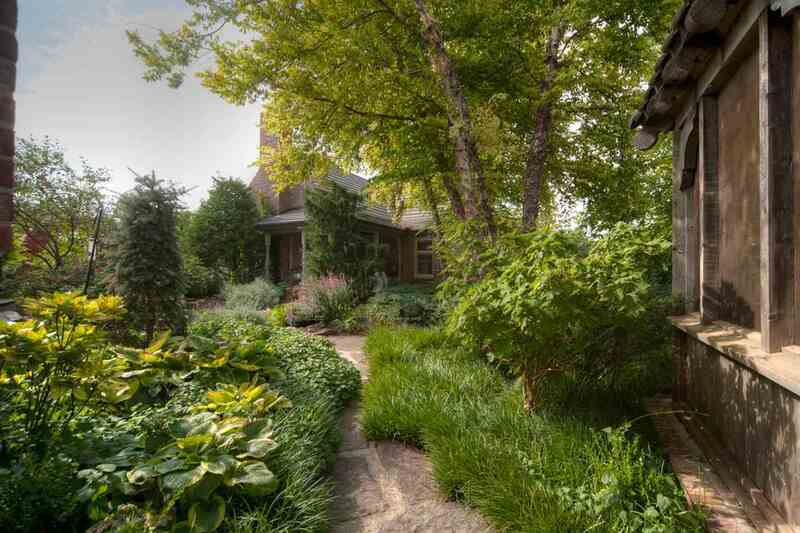 True walkout basement features a large family room with massive stone fireplace with stone from the Union Hall in KC, reclaimed antique bar from old town in Wichita, Subzero frig and massive reclaimed wood doors to a huge bed/workout room! 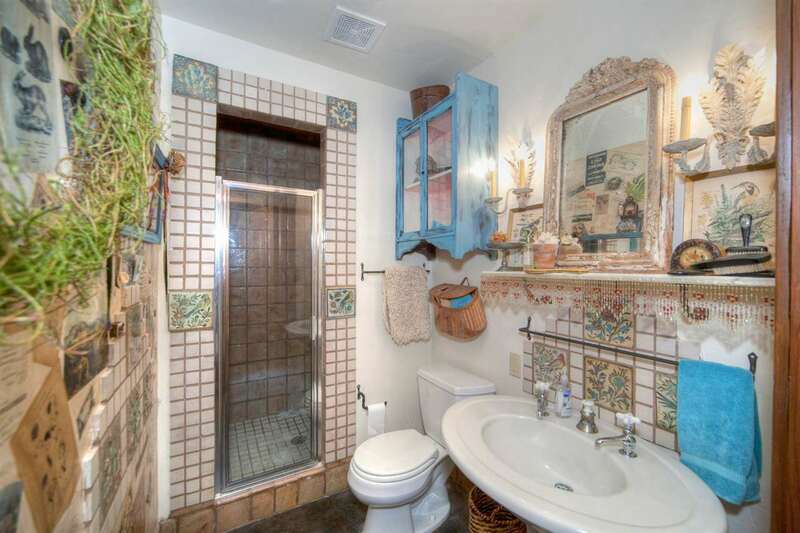 Guest bath with antique Chinese vanity, French mirror and walk-in shower! 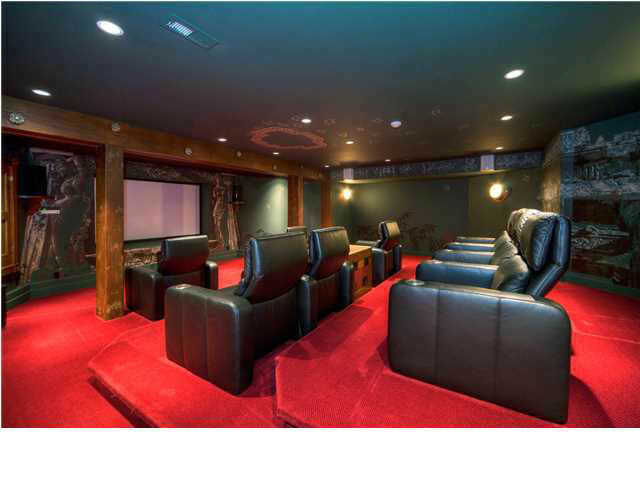 Fantastic Theater room with painted walls by artist Steve Murillo, 100" projection TV and components from A+ Sound, stadium seating and vintage doors! 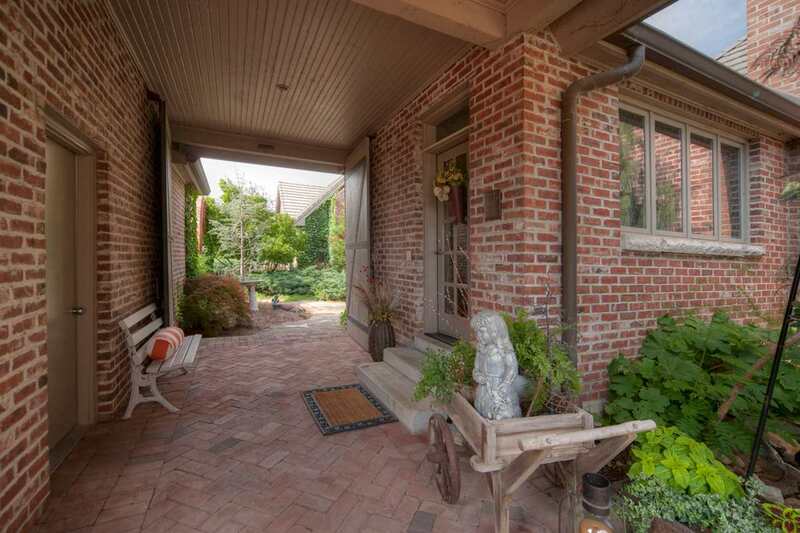 The large reclaimed brick patio is encompassed by terra-cotta railing and antique lamp both from the St Joe mansion! 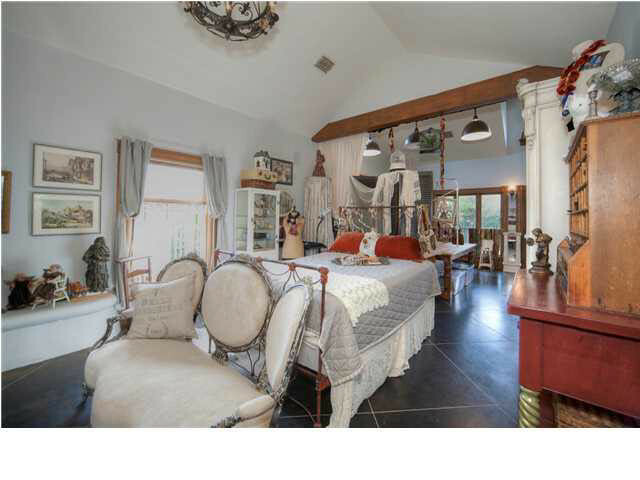 Spectacular studio/guest house is 900+ sq ft with reclaimed wood beamed ceiling, vintage doors, huge round window from the Fowler mansion, cabinetry with Subzero frig, huge French Armoire with beveled glass doors and a bath with antique pedestal sink and vintage tiles! 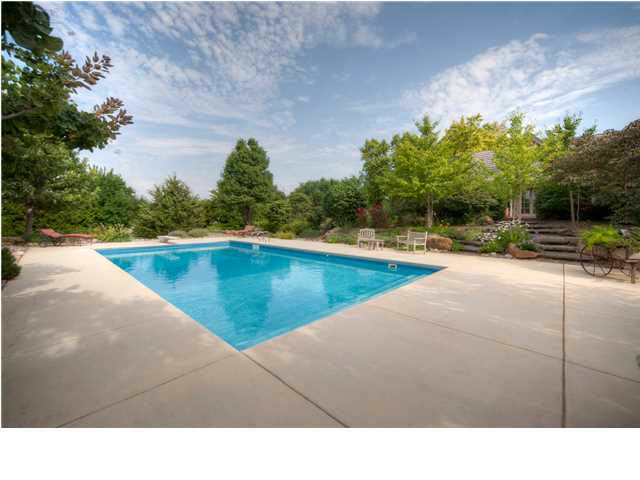 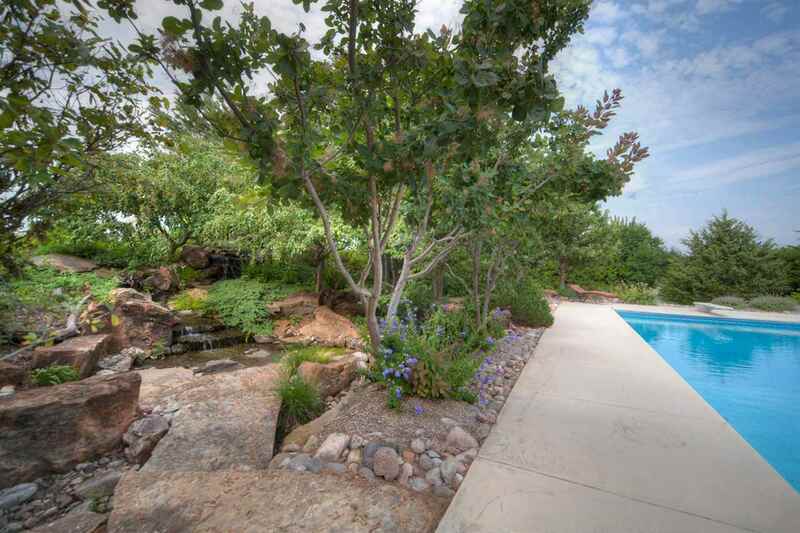 Just a few stone steps away from the guest house is a 20x40 heated in-ground pool! 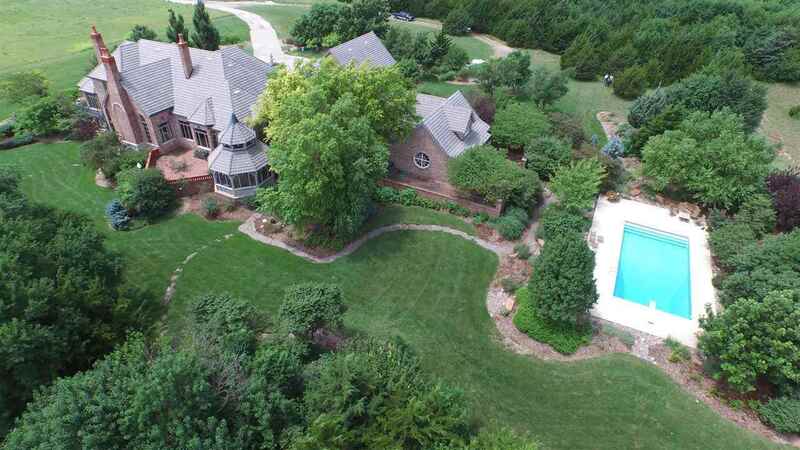 The grounds around the house were designed for privacy and are impeccably maintained all the way to the 4 acre private lake with its own babbling brook and dock!